Also, gather all the ingredients for your broth, i.e. 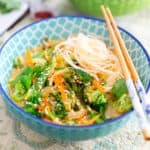 vegetable broth, coconut milk, thai curry paste, toasted sesame oil, lime juice, and get the required amount of rice vermicelli noodles ready. 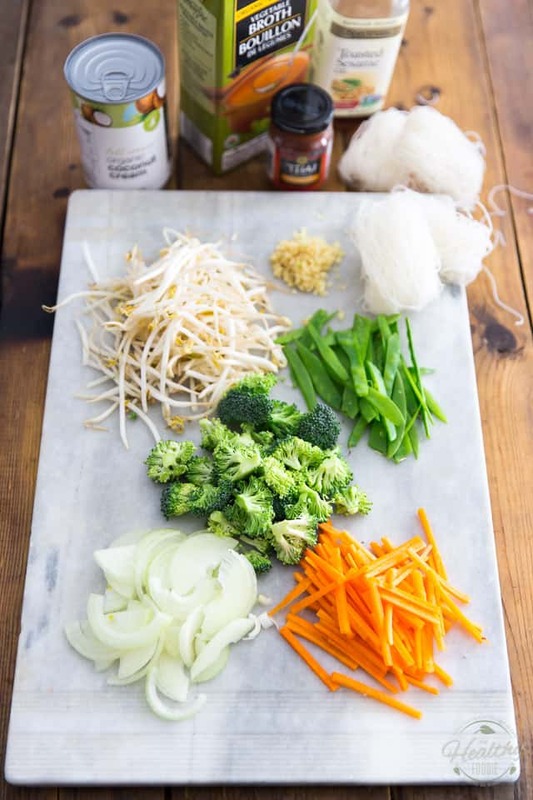 Once your mise-en-place is done, bring a pot of salted water to the boil and in it, cook the rice noodles for 2 to 3 minutes, or according to the directions on the package, until just tender. 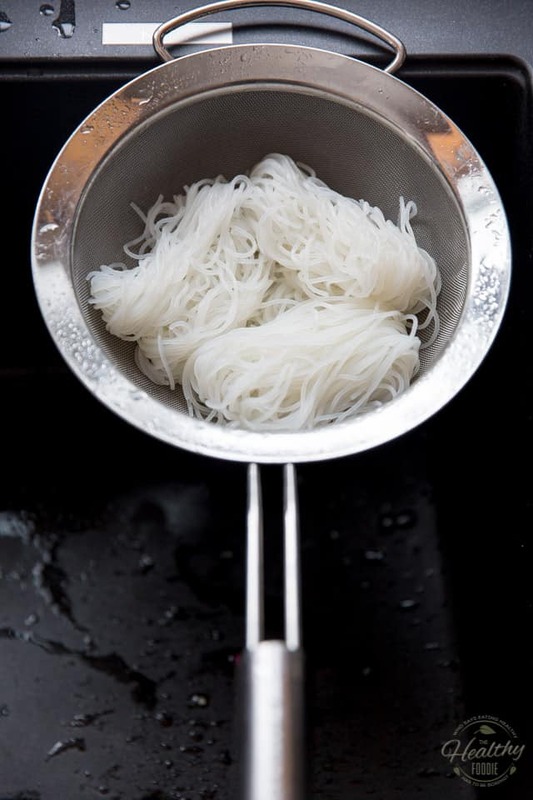 When the noodles are cooked to your liking, drain and rinse them under cold running water to prevent them from cooking further. 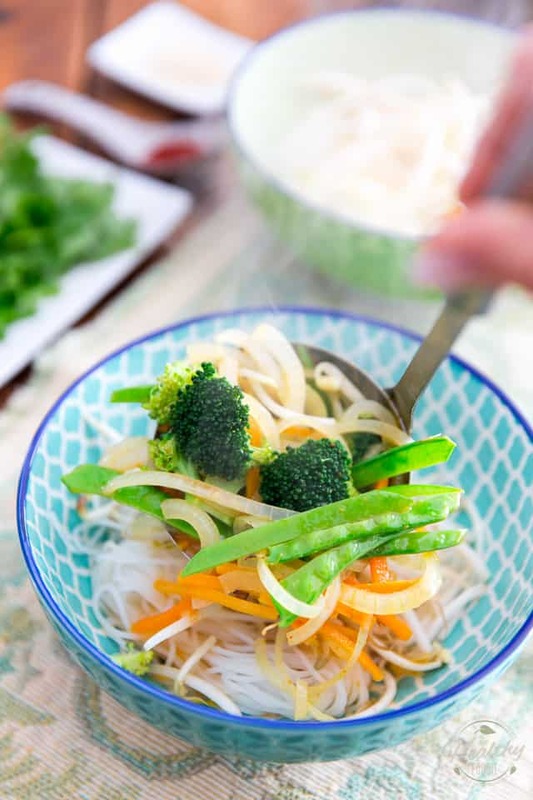 While the noodles are happening, don’t just sit there and wait… Heat a tablespoon of coconut oil in a medium pot set over medium heat. Add the onion and carrots and cook them for about 2 minutes, until they’re slightly softened and fragrant. 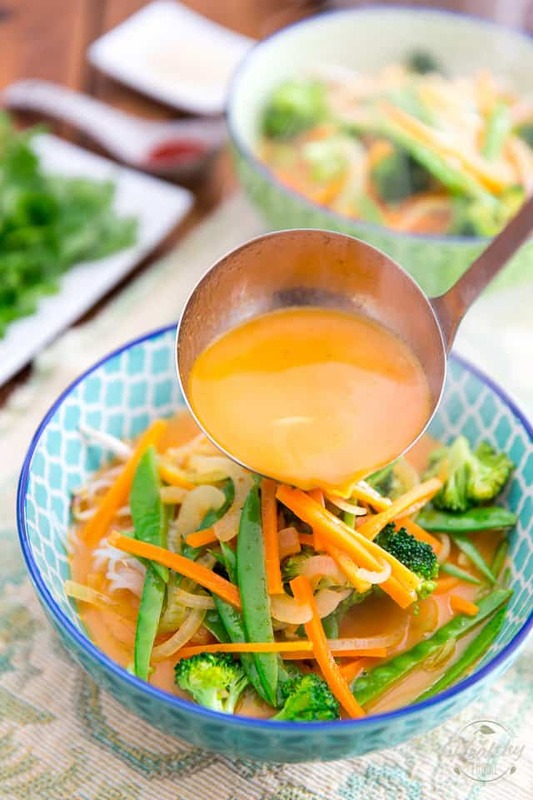 Meanwhile, combine the vegetable broth, coconut milk, yellow curry paste, lime juice, minced ginger and toasted sesame oil in a large measuring cup. 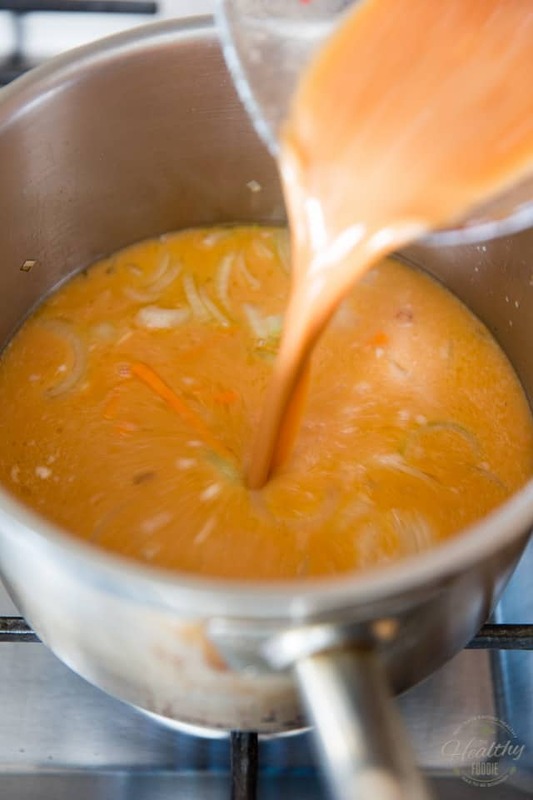 Whisk all that vigorously until well combined, then pour it right into the pot with the onions and carrots. Bring to the boil, uncovered, then throw in the broccoli florets and snow peas; bring back to a quick boil and then kill the heat. That’s it! We’re all ready to serve that beautiful delicious soup! 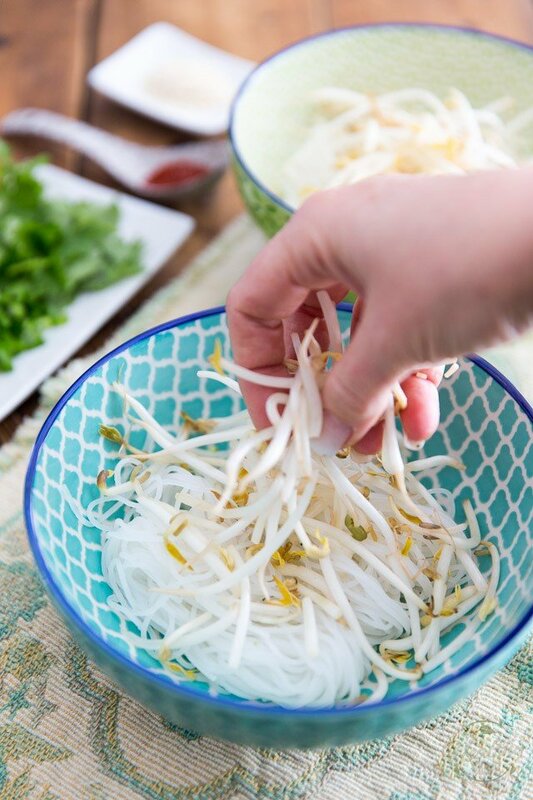 To do that, divide the cooked noodles evenly between 2 large bowls and then top each serving with half the bean sprouts. You could also divide your ingredients between 4 bowls if you wanted to make smaller, appetizer-size servings. …and finally, divide the broth equally among both bowls. Garnish your soups as desired and serve without delay! Me? I chose to go with chopped green onions, a handful of fresh cilantro leaves, a pinch of sesame seeds, and a drizzle of sriracha!! Before you start, be sure that you have all your ingredients prepped and ready to go when needed. Then, bring a pot of salted water to the boil and in it, cook the noodles for 2-3 minutes, or according to the directions on the package; when cooked, drain and rinse the noodles under cold running water to prevent them from cooking further. 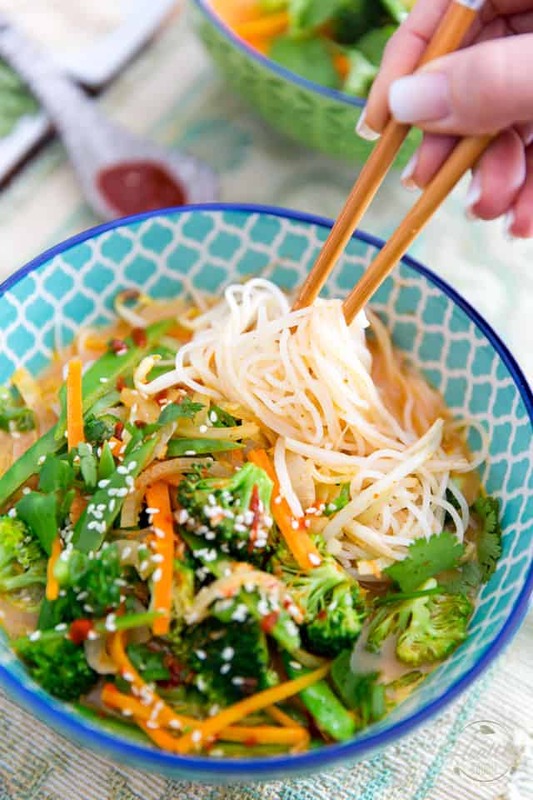 While the noodles are happening, heat the coconut oil in a medium pot set over medium heat. 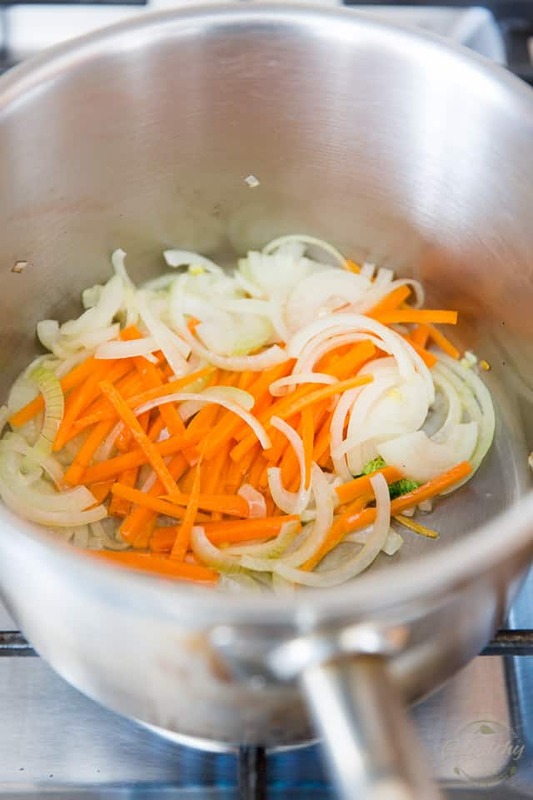 Add the onion and carrots and cook them for about 2 minutes, until slightly softened and fragrant. Meanwhile, combine the vegetable broth, coconut milk, yellow curry paste, lime juice, minced ginger and toasted sesame oil in a large measuring cup. 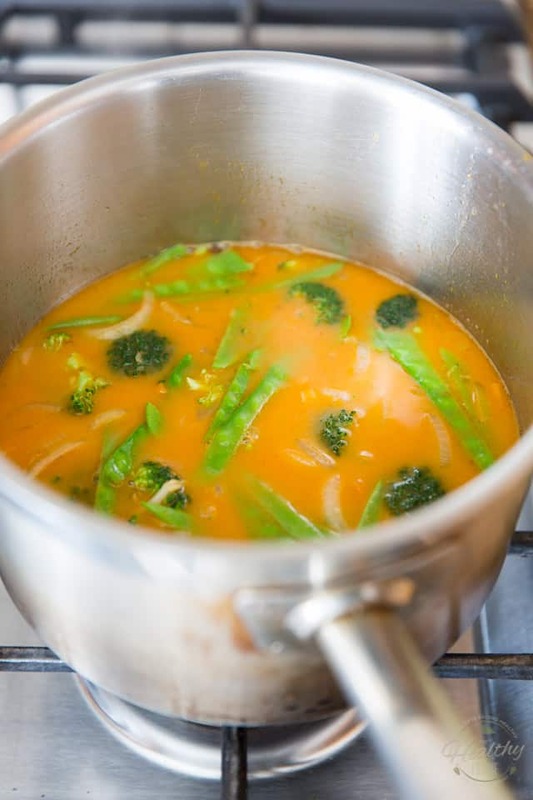 Whisk vigorously until well combined, then pour this right into the pot with the onions and carrots; bring to the boil, then throw in the broccoli florets and snow peas. Bring back to a quick boil and then kill the heat. 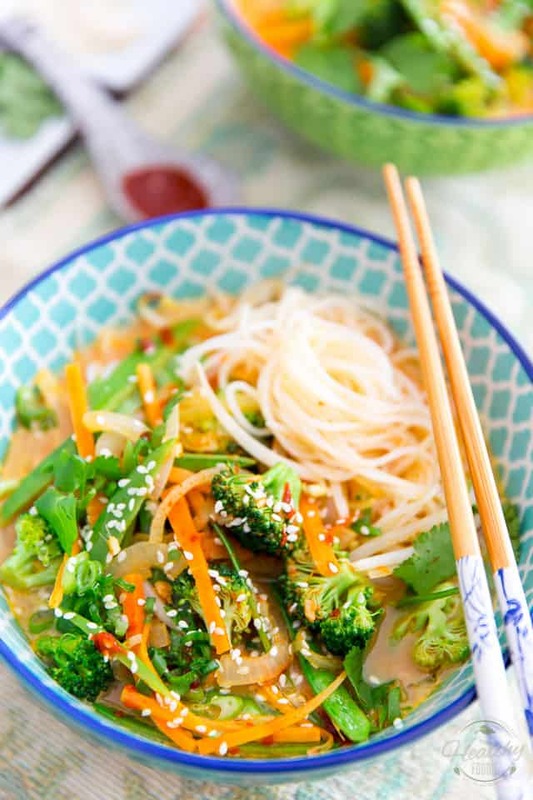 Divide the cooked noodles evenly between 2 large bowls, top with the bean sprouts and then laddle the veggies and broth overtop. Garnish as desired and serve without delay! 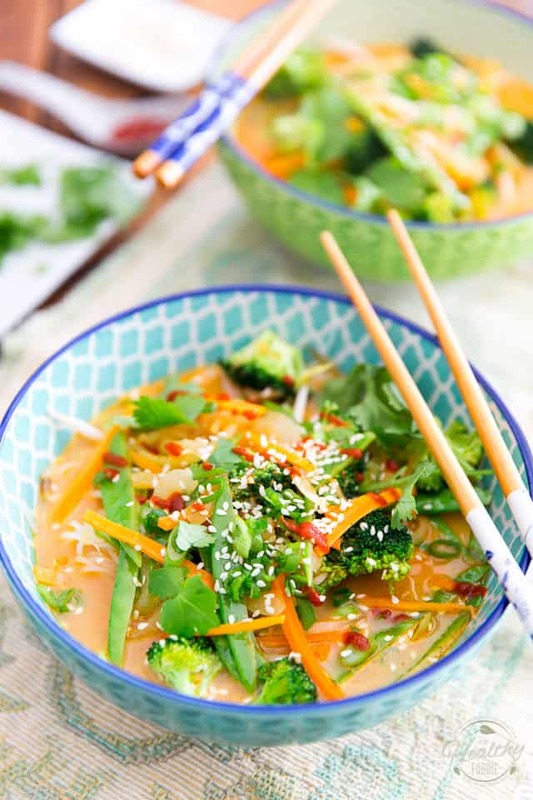 *if keeping this soup vegan is important to you, be sure to read the ingredients carefully on the curry paste as lots of them contain fish sauce or anchovies.